“My own faith story is both ordinary and magnificent — to draw on the idea I explored in producing this piece about the incarnation of Christ and the Christmas story. Ordinary, in that I grew up in a home where church and God-talk was the norm, and I naturally inherited the faith of my parents. No blinding light on the road to Damascus or ‘used to be a drug dealer until I met Jesus’ conversion story here. Just an immersion in the story of Jesus, and the tangible example of my parents seeking to live out honest and authentic ‘good news’ lives. 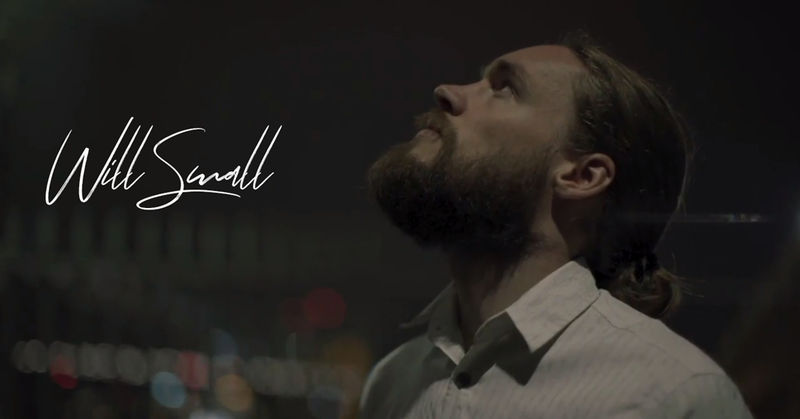 Will Small is a refreshing and thoughtful Australian voice; poetically fusing together influences in philosophy, literature and hip-hop, to communicate in a unique and powerful way. He writes with a relentless desire to ask better questions, tell better stories and inspire a fresh collective narrative where no voice is forgotten or left out. Will has a Bachelor of Arts (Honours) majoring in English and Philosophy from the Australian National University, and is currently completing a Masters of Christian Leadership as part of the Arrow Leadership program. He is a 2X national finalist in the Australian Poetry Slam and the founder of Lead By Story (leadbystory.com.au). He is passionate about helping leaders and organisations communicate in powerful and creative ways.